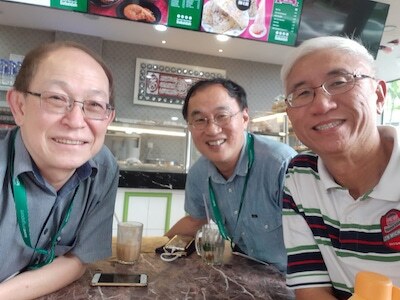 My intention was to introduce new staff members Alvin Lim and Tom Cannon to Love Singapore Pastors’ Prayer Summit 2019. So I was glad that Vincent Hoon was willing to go too as we could room together. We set off in his car and stopped at Yong Peng for simple Hockchiew lunch. I enjoyed this Prayer Summit, more than those I attended in the past. It is partly the program, and partly the people, and partly the fact that I have grown. Let me list some personal highlights of this summit. It was wonderful to catch up with friends and acquaintances during the several meals and meetings we had together. Catching up and talking shop gives me information, solidarity, and belonging. Meeting Richard Wong and Kenny Fam and Twie Kim was such a joy. And seeing the old stalwarts of Love Singapore puts a smile on my face and encourages me. I wonder if I would attend the summit after my retirement the way these guys did. The main speaker, a pastor Yang was dynamite. 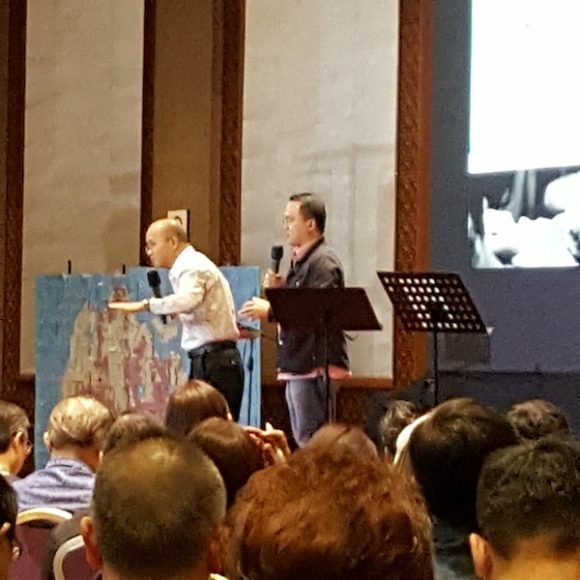 He is a Mandarin pastor from Taiwan who preached in Mandarin and was interpreted into English – a first for the Pastors’ Summit. A passionate, radical, seeker of lost souls and church transformer he enlightened, encouraged, challenged, cajoled, and awakened us to the condition of the church, the seminaries and us pastors. Culture is a comfortable man-made cocoon and truth can be uncomfortable and disturbing and awakening. In most churches the existing culture does not match up with Scripture. In a nutshell, he shook us all up. We need to make disciples the way Jesus did: more Hebraic practical action and obedience training than Greek conceptualising and grasping of theory. A real preacher: either you love or loathe him; assimilate or resist his ideas. Thank you Rev Yang. Pastor Yang challenging the status quo. There was an emotional remembrance of apostle Rick Seaward. So poignant, so touching, so piercing. What a great man has left Love Singapore, what a loss. It was good the movement grieved together. 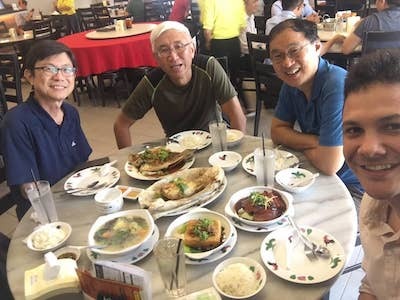 Loved Lawrence Khong’s personal reminiscence of his friendship with Rick. It became clear to me Love Singapore is a movement that resists becoming an institution; like the tribal confederation before they instituted kingship. The Spirit of God anoints and chooses and rules. This is a great strength that will keep the movement resilient, effective and impactful. Register Love Singapore as a registered society and it will start losing its vitality. I love it as it is. I enjoyed the session where the young leaders that have been added to the leadership team were interviewed with two veterans, creative Eugene Seow and witty Lawrence Chua. I must say I loved what I heard and saw of the younger leadership. I noticed especially the genuineness, the authenticity – something that seems common among spiritual leaders of generation next. There is something precious we can learn from them. Then there was the initiative for Love Japan. Love Timor continues, but Love Japan has been added. There is a sensing from the LS leadership that this is the kairos moment for Japan. 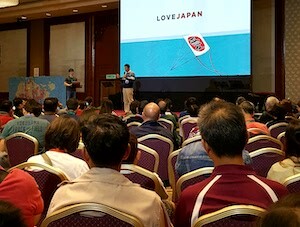 Some Japanese pastors/leaders were present to share about Japan’s need. Very low percentage of about 1% are Christians. Exciting. The last but not least the Awaken Generation team of musicians and worship leaders were there. These bunch of young, telegenic, talented, anointed, stratospheric worship leaders and musicians were great to have around. They have a special anointing. Next year I hope they come again and I hope they can be given more “space” to lead us into God’s presence. I came thinking this will be the last time before I retire. I left thinking maybe I should go one last time in 2020. If God so wills. Next Next post: Celebration of Hope tickets going, going, gone.